So I've blogged about Chopin and Rachmaninoff, two giants in the world of piano music - I think its time to show off a female musician! If you haven't noticed, most of the famous composers and performers have historically been male. Because of women's role in society, many weren't allowed to pursue careers and were made to stay home to look after the house and raise the family. There aren't a lot of well-known female musicians out there, but one popped into my head quickly as I was gathering my thoughts for this post. Clara Wieck was like the Superwoman of the 19th century. The spice girls would bow their heads in shame if they saw what girl power Clara was bringing to the table. Source: Wikimedia Commons. Photo from 1853. Clara Wieck was the daughter of a music teacher who planned her early music education down to a T (also the story of my future children?!). By the age of 7, she was practicing piano three hours a day and her first public appearance was at age 9 at the prestigious Gewandhaus Concert Hall in Germany. She was considered a child prodigy and quickly earned the respect of her male contemporaries such as Schumann, Mendelssohn, Liszt and my namesake, Chopin, - no small feat for a woman in those times! Clara was regarded as one of the best pianists of her generation. She popularised many composers' music such as Brahms and Schumann, simply by performing their works on stage. She eventually married the great romantic composer Robert Schumann, even against her father's wishes. Despite her husband's notoriety, she was the primary breadwinner and supported her family, had eight children and looked after her grandchildren when her own child passed away. 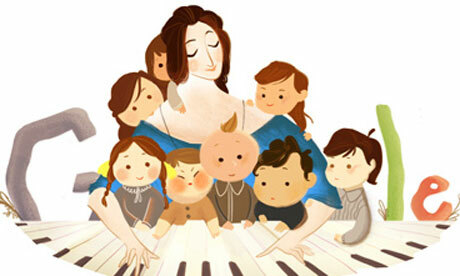 Check out Google's interpretation of Clara in a Google Doodle from late 2012. Source: Google doodle. Clara with her eight children. Life was not easy for Clara; her husband Robert ended his life in a mental asylum, as did one of her sons. 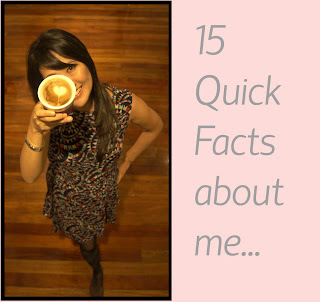 She was left a widow at 37! I can't even begin to imagine how hard life would be if I was in her situation in this modern day let alone in the 19th century. Interestingly, after Schumanns death, Brahms remained close with Clara, although it is unknown if they ever went all "50 Shades of Grey". Clara was primarily a performer but did compose a little, mainly in her early life. Her compositions are traditionally lesser known but are becoming increasingly popular. I enjoyed the showy Scherzo no.1, op 10 but to be honest she inspired me more as a strong independent woman rather than as a composer. She was highly regarded as a concert pianist in a mostly male-dominated industry and always remained professional no matter what difficulties she encountered. This clip from the movie "Song of Love" is the closest thing I could find to Clara playing in a concert (Katharine Hepburn is Clara, playing Schumann's work). 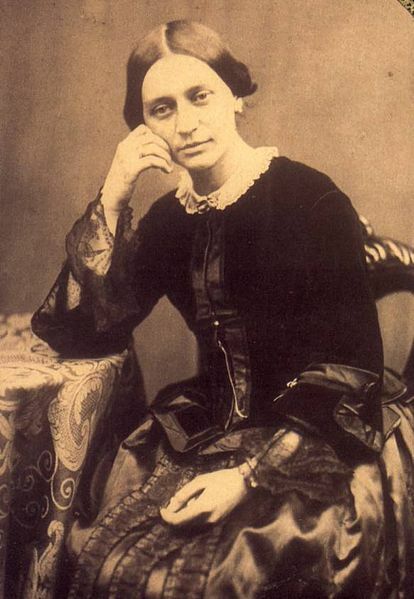 Clara Wieck Schumann supported and helped so many composers succeed during her time, I think the life of this amazing woman needs to be celebrated a lot more and I hope you can join me to spread the word about this inspirational woman! I've been enjoying your blog, so, I nominated you for the Liebster Award!